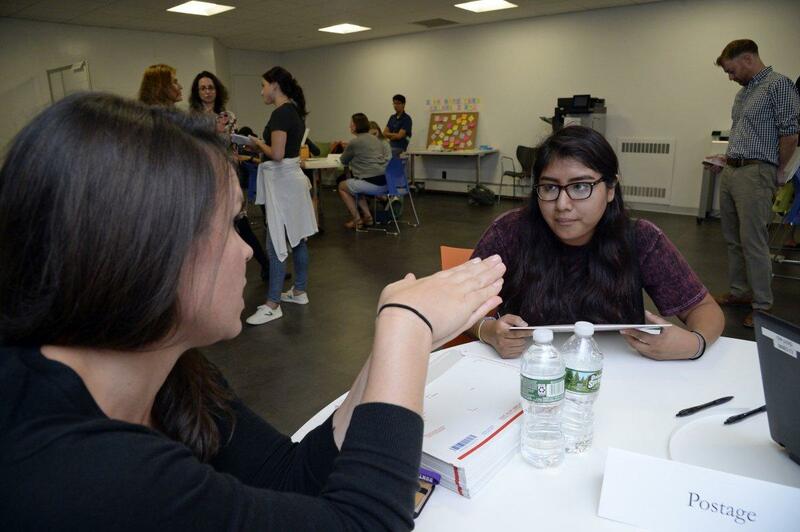 Hunter College opened a one-stop-shopping fair Tuesday for students who need to renew their applications for a waiver to legally stay in the U.S. The Trump administration has set a hard deadline of Oct. 5 for students hoping to apply for another two years of residency . Known as "Dreamers," the students have to pay $500 for the application that will hopefully let them stay in the U.S., even though they were brought in without documentation as children, through the Deferred Action for Childhood Arrivals program, or DACA. "We decided we wanted to do something concrete and productive," Hunter College president Jennifer Raab said. Raab raised several thousand dollars to cover the $500 renewal fee for each student — a steep amount for a college kid to come up with on short notice. "You cannot miss this deadline," Raab said. "There's no recourse." At the fair, the students, got access to lawyers who reviewed their applications, had required photos taken, were handed mailing materials and the $500 check made out to U.S. Department of Homeland Security. Immigration lawyer Karyn Schiller said the students' anxiety was palpable. Many asked her, "Do I have any other options if they cancel DACA?" she said. Alejandra Tequianez, 18, a freshman, came to the fair to try and alleviate her stress. "The renewal cost left a weight on my shoulders," she said. Ester Rim, 21, a senior and a "Dreamer" herself, helped organize the fair. 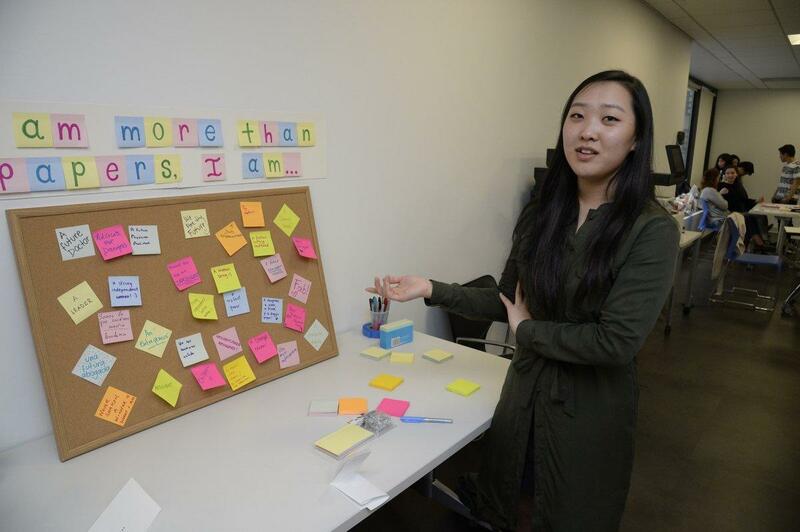 "This was a chance for me to give back to my academic community," she said. "It's an urgent time for us as immigrants." DACA, created by executive action under President Obama in 2012, protects unauthorized immigrants who came to the U.S. as children from deportation. It also allows them to get Social Security numbers and work permits. President Trump rescinded the program earlier this month and gave Congress 6 months to come up with a better fix.